Em's Funny Farm: New ........not a toy!! 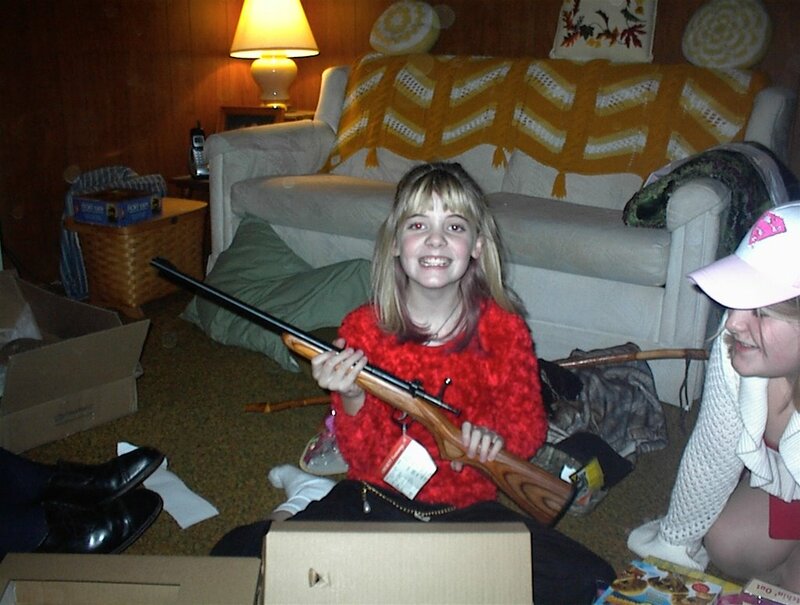 Sarah was thrilled with her first rifle! The "Davy Crickett" 22 caliber rifle! Uncle Don will be her teacher and coach. 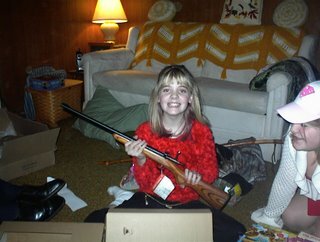 She will NOT be shooting alone!! She's my future hunter I believe!